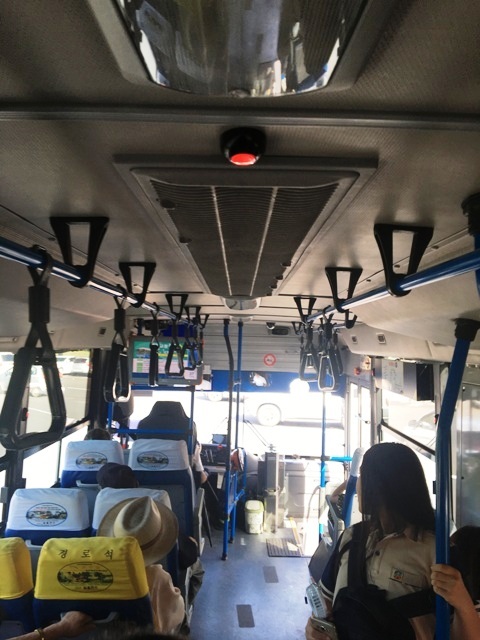 Many people like to travel by bus because of its reasonable price and the chance of an encounter with local residents. As well as this, taking a bus will give you the opportunity to visit places that you won’t see in a travel guide book. 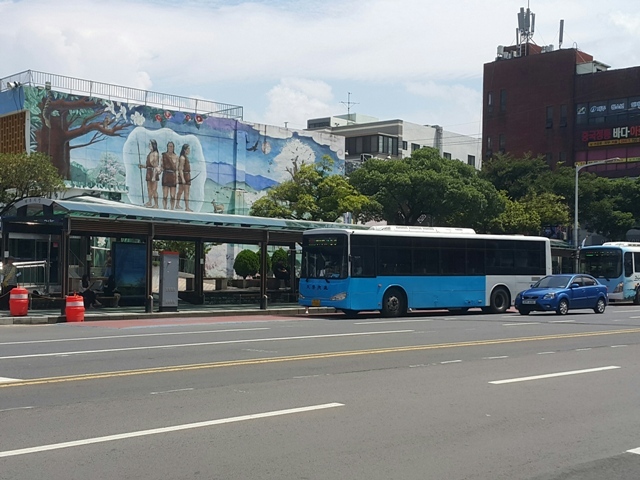 In fact, taking a bus is a great chance to head out and try to find new spots on Jeju. The easiest way to pay for your ride is to buy a bus card. 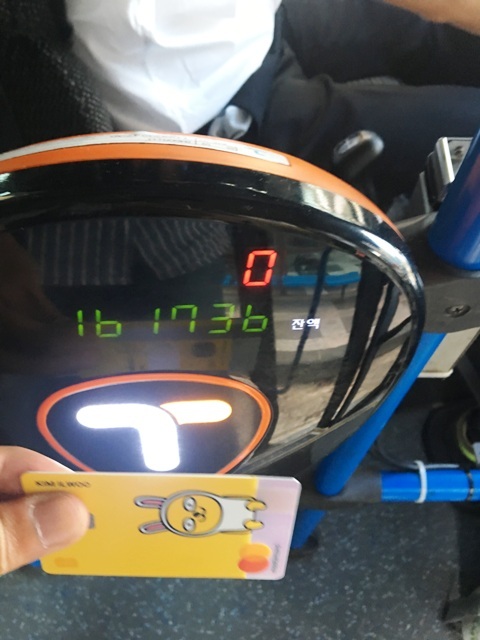 There are different kinds of bus card although the main one is called Transportation Card T-money(교통카드티머니) and is available at convenience stores. If you are just traveling and want unlimited bus travel during your stay, you can buy an M-pass at the tourist information center. The M-pass is only available for foreigners. It is also possible to pay in cash, although there is a chance that the driver won’t have change. Because of this, you should try to have the correct fare if possible. 1. When do I pay the bus fare? In Korea, you pay the bus fare when you board the bus. 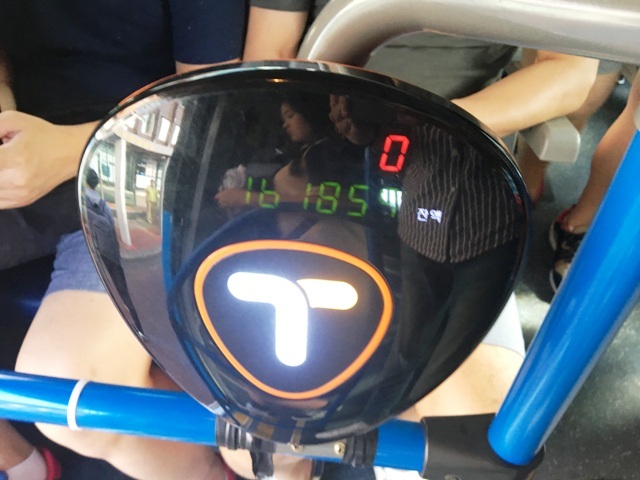 Simply tap your card on the bus card reader and you will see the cost that you paid. 2. How to save money! Use the transfer system wisely. If you want to transfer to another bus, it is possible to do so for free. You just need to make sure that you tap the bus card reader on the way off the bus. If you then transfer to another bus within 40 minutes there will be no extra charges when you transfer. This is easy to do as the bus card reader is located near the door in the middle of the bus, no need to go back to the front of the bus! In Korea, people start standing up and prepare to get off the bus while it is running. Because of this, you should make sure you are prepared so that you don’t miss your stop.